So now that everyone has been playing for a few days, I am curious, what is your favorite type of dino so far and why? Also have you trained it? If you have, how hard was it to train? Also, any suggestions/tips you would like to share. I think the highly versatile Spinosaurus will be my favorite Super Predator.. IF I COULD ACTUALLY FIND IT?! Is it even actually in-game yet? I've asked around and no luck..
You mean one of these @[member='Elmo'] :D? Did you know they can regenerate stamina in the air and do not kick you off when they run out of stamina :D? I want to tame a scorpion or a sabertooth! Have two dilos I think are guarding me right now while Im passed out in the bushes. I want to thank everyone who has commented so far. I hope we can keep it going. It seems like just when you have a favorite dino or a least favorite, the developers throw something new at us. After the next few weeks, we will see if your favorite is still your favorite. On a funny note: Nobody has given any love to the aquatic creatures. Dilo's are my favorite as I use them to kill Megladon's!! you both told me what you like but I want to know why do you like them is it because of their attack damage, speed, etc etc. Why is that your favorite dino? Do you have a pic of it? thats it. most aliens in japanese and korean culture are with these heads. the thing has an intreging history + the last family of the ceratops. I really enjoy the Scorpion. It is useful with low melee as a tranq and awesomely fast. Also is very useful with high damage. =) Happy Taming! I had 4 Scorpions on the server before it was wiped. I plan on getting another one as soon as I can. I am also looking forward to taming a Sacro. 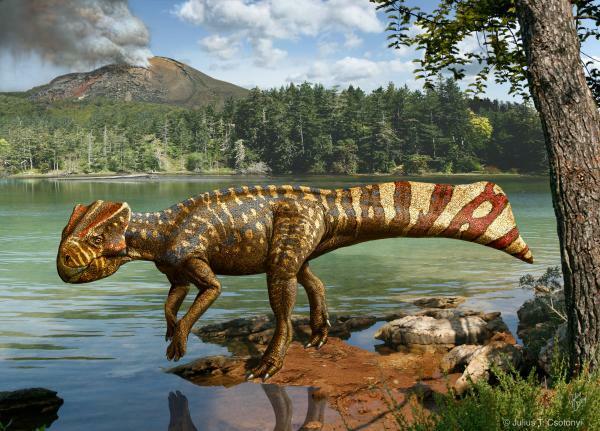 If we are talking about future dinos. I am really excited about the following Bird. Yes, the monkeys are going to be great to have "wandering" around the base! I Had a raptor! I fought tooth and claw to keep him alive while i was taiming it.... killed a 37 raptor and then was ambushed by a level 18 rex. that ran me out of food arrows and was at 50 health.... but i managed to kill the rex. was gathering some berries to regain hunger when 2 sabers a 37 and 26 mate boosted come charging my way with a bird following them. I jumped on a rock and speared the bird to death then stoned the one cat and finished off the other cat with some arrows i crafted. "I Fought tooth and claw" and I mean it litteraly. then the admin "Unofficialy" killed em QQ poor razor! I want to make a graveyard for all my dinos i will have and loose. but he was my favorite! I never fought that hard in this game. always ran so I never got a raptor. But I wasn't giving up this time! I Wanted him and i got him. good pet and my favorite simply because of the work i put into him! By the way Great job with this post its a great post. 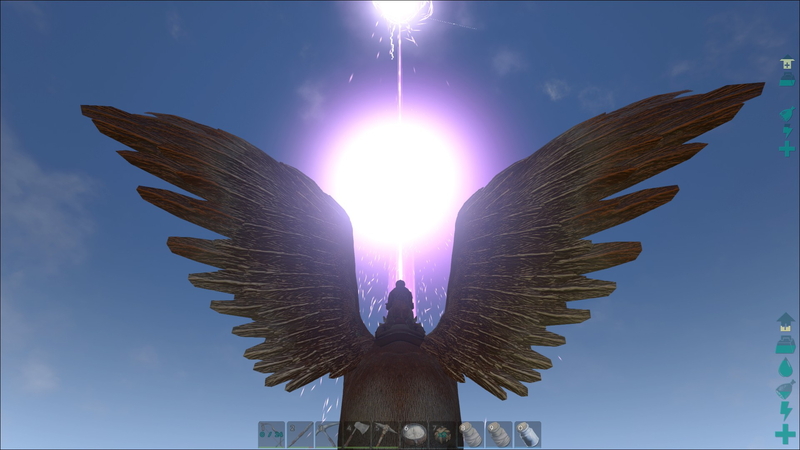 I love reading other peoples responses and why and what dinos are popular among us ark fans! I look forward to seeing other peoples answer! My favorite has to be the stego! It is slow, but I get to about 2k HP, and about 400% damage and I can take on anything. The knockback and range is better than anything other than a bronto, I actually took on a Trex. 6 sabers, and 3 raptors at once with my lvl 42 stego and left with over half health. Plus I can farm hundreds of meat, hide, berries, or thatch fast as you'd like! It isn't too hard to tame, super slow so you can just slingshot or tranq it down. The knockback is annoying so using a scorp is harder, but as long as you attack the head then you can do it fine. Took maybe 3-4 hours to tame and quite a bit of narco, but it has a bunch of torpor so you can leave to go grind some berries and then come back and not have to worry. I'm loving my T-rex. She's named Flouder, and is easily identifiable by her huge red glasses. But other than her, I like the Carno. They're just fun little beasts. I like the Carno. The stubby little arms are so silly. However, I'm super hype for the Quetzal. I haven't tames a carno yet, though. 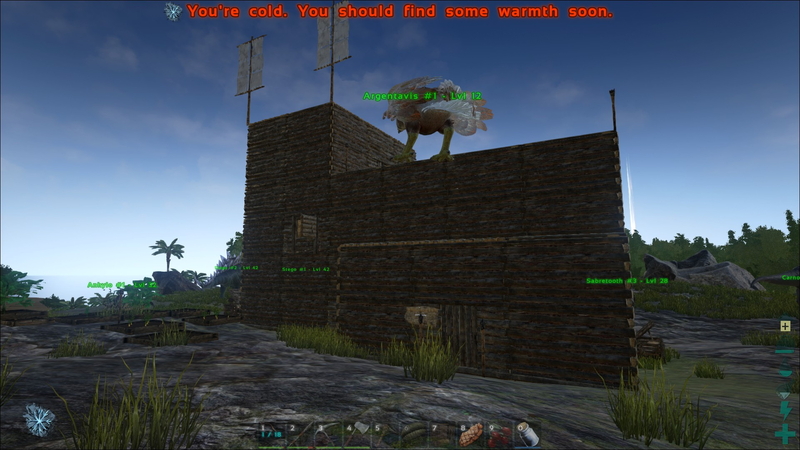 Been base building too much. And I'm feeling that my fav is going to be the Spino we just tamed cause we just made a saddle for it.